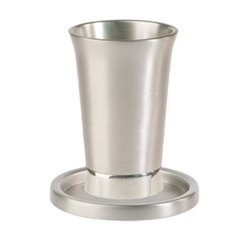 This beautiful Anodized Cast aluminum Kiddush Cup set will be an excellent item for your Shabbat and festive day's table. 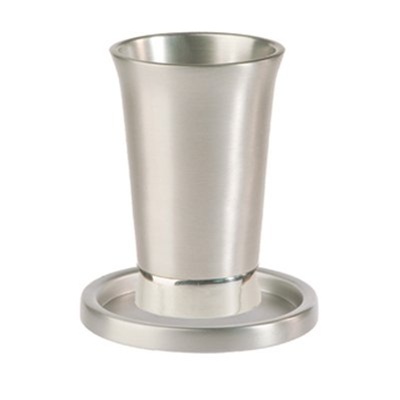 The gleaming silver metallic color with the brushed metal finish creates an extraordinary look. The Kiddush cup comes with a matching saucer to catch any extra wine that spills.